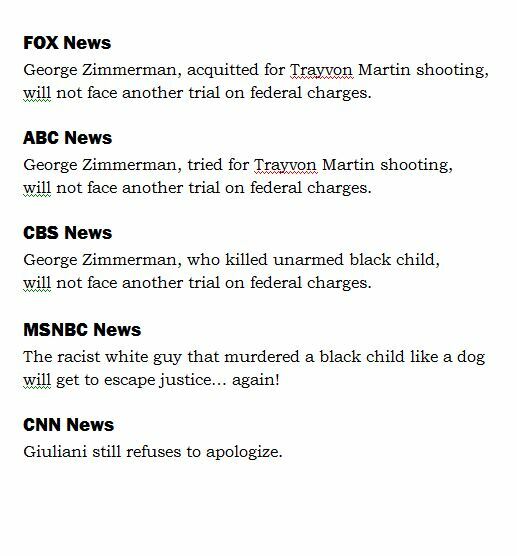 I’m not a big fan of George Zimmerman. His various shenanigans since his trial, have proven him to be, a troubled young man, to put it politely. Still, I think justice truly prevailed in his first trial, and I’m glad that the DOJ decided against any more charges. Civil rights charges are usually just a way around double jeopardy by simply rebranding the charges. There have been a few instances in recents months where the justice system actually made decisions based on the evidence rather than media pressure. Maybe, just maybe, there’s hope after all. I’m with you. Far as I can tell Zimmerman is a prick. That means I might not choose to have a beer with him, but it doesn’t make him guilty of murder. Pricks have a right not to have their head bashed into the sidewalk just like everyone else.